The initiatives taken by the VHA Medical Centers toward patient safety are many and laudable. In this study, a distinguished group of authors reports on the adverse events and close calls recorded from 2001 to 2006 in the VHA database. 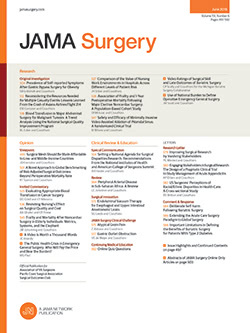 The results uncover the most frequently involved departments (ophthalmology and orthopedics), the most frequently encountered adverse events (wrong eye implant and unavailable orthopedic implant), the most harmful adverse events (wrong-side thoracentesis by pulmonary medicine and wrong-site operations by different specialists), and the most common root cause of the problem (communication). The authors conclude that earlier communication will prevent surgical adverse events, although this is merely a hypothesis and not a data-driven conclusion.